Some of you might have seen me mention on Instagram that I'm a bit obsessed with orange-hued reds at the moment. They're brightening, fun, and chirpy like orange, but at the same time they're grown-up looking because they mostly act like a red lipstick. And there are several different textures that I like right now as well. MAC's Dangerous is a limited edition shade (bad news) which is quite similar to Lady Danger (good news), but slightly more muted. So if you are looking for a classic red-orange in a rich matte texture, Lady Danger is probably the best bet. Many people are worried about orange-based reds making their teeth look yellow. Actually I don't find that to be the case unless your teeth are badly stained to begin with. It depends on how bright or neon the shade you choose is. If you go with shades that are more red-based (like the ones listed above) they actually aren't bright enough to make your teeth look dull and discolored, which is what some bright oranges and bright pinks do. You can choose between glossy finishes, sheers, classic cremes, and a perpetual fave of mine - mattes. They all look great. 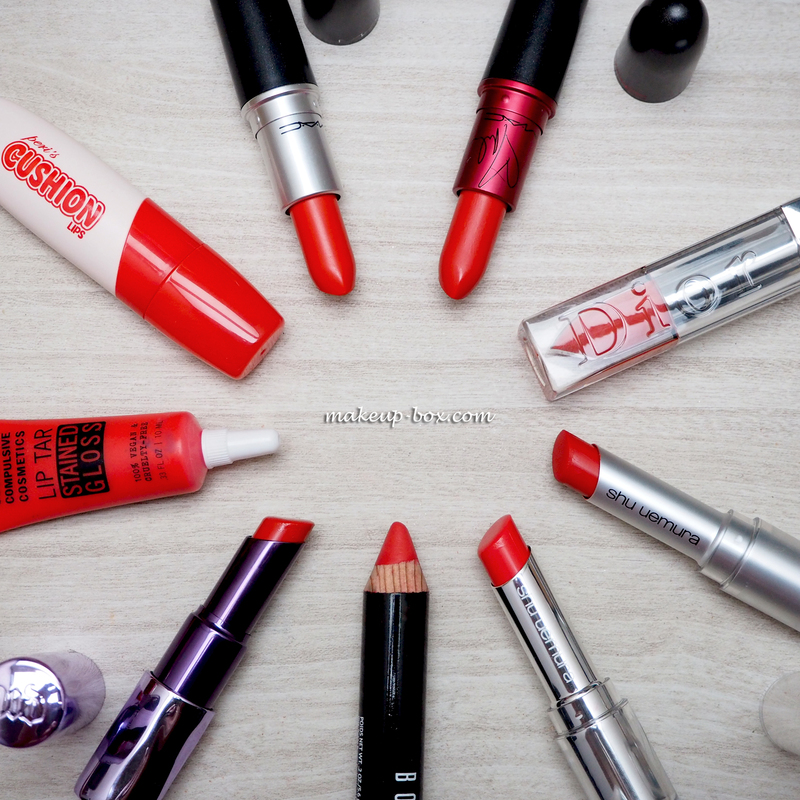 Orange reds are FAB when layered as well. 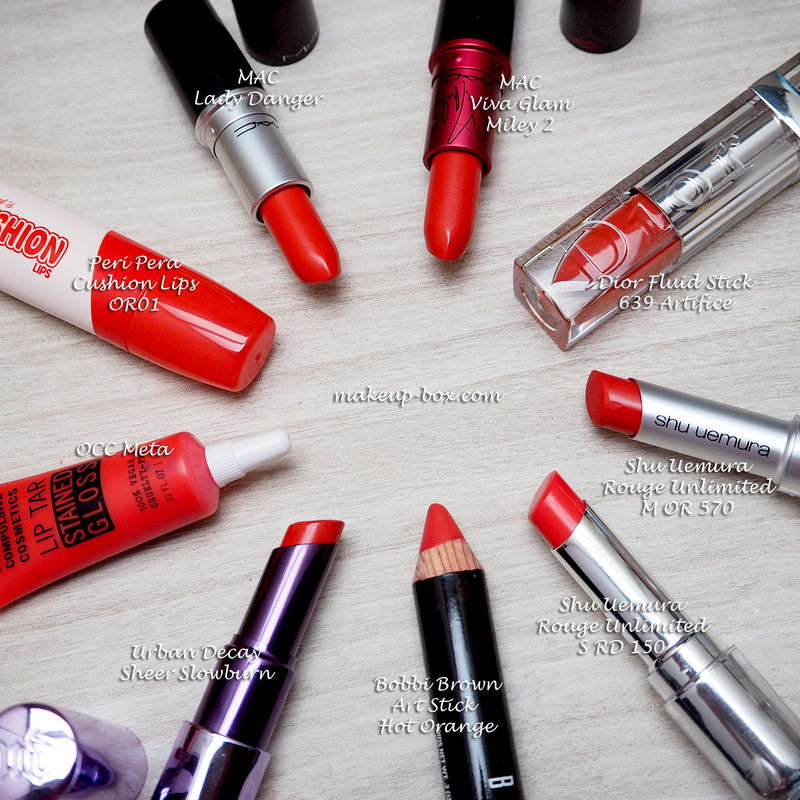 Pop a glossy shade on top of a matte shade and you will be making a big statement with those lips. 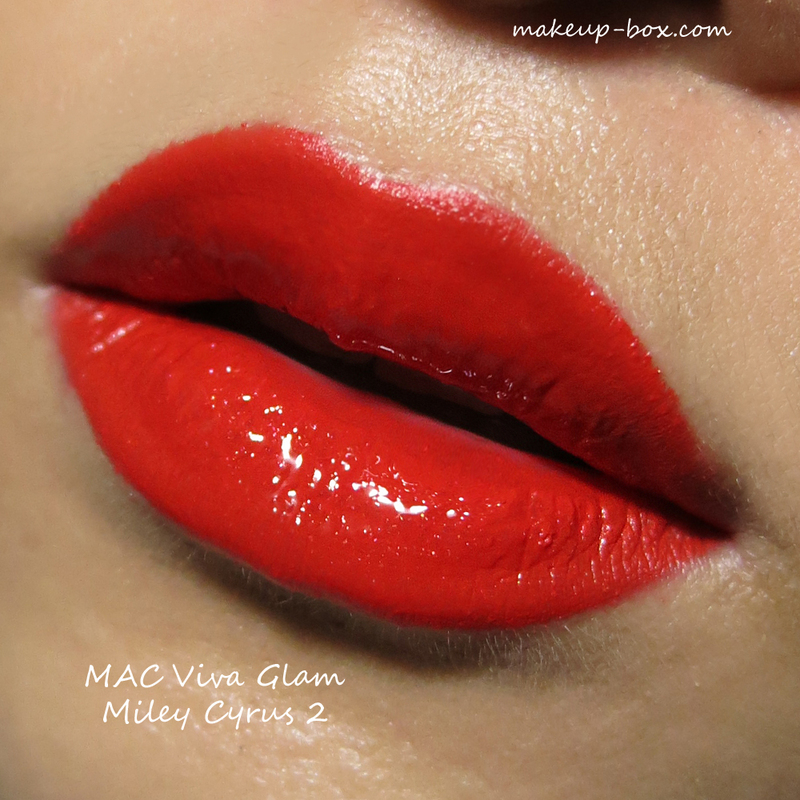 MAC Viva Glam Miley Cyrus 2 - slightly rosier and deeper than Lady Danger. Shu Uemura M OR 570 "Gangnum Orange" - this dried tomato red has a brick-toned warmth mixed in with a vivid red orange, in a lightweight comfortable finish that does not feel like typical mattes. OCC Lip Tar Stained Gloss in Meta - almost neon in tone but translucent and jelly-like. Dior Fluid Stick 639 Artifice - super glossy but not sheer at all; for those who want a dramatic lacquered finish. Great layered over a matte base shade. Urban Decay Sheer Revolution Lipstick in Slowburn - this is actually not as "sheer" as you might think considering the name; I consider it more of a creme lipstick than a sheer. This has nice, even color-payoff in a silky texture. Peri Pera Cushion Lips in OR01 - this Korean drugstore brand offering is super fun; it's a slightly sheer lip cream in a creamy semi-matte texture, so you get a matte veil of color. Of course you look stunning in orange reds!! I myself cannot pull them off. I wear blue reds on a daily basis.